Mars-500 commander's brain tests. 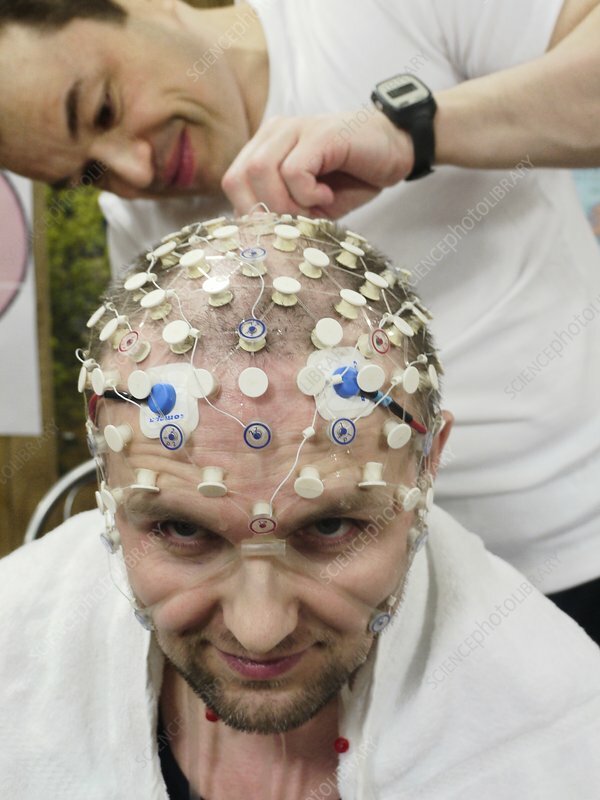 Alexey Sitev (Russia), the commander of the third stage of the Mars-500 project, having his brain tested. This project was conducted between 2007 and 2011 at the Russian Institute of Biomedical Problems (IBMP) in Moscow, Russia. The final stage, held from 3 June 2010 to 4 November 2011, placed six crew members in an isolation facility to simulate a 520-day mission to Mars. The aim was to study the psychological and medical aspects of long-duration human spaceflights. This photograph was taken during the 'return trip' from Mars (240 days from March to November 2011).